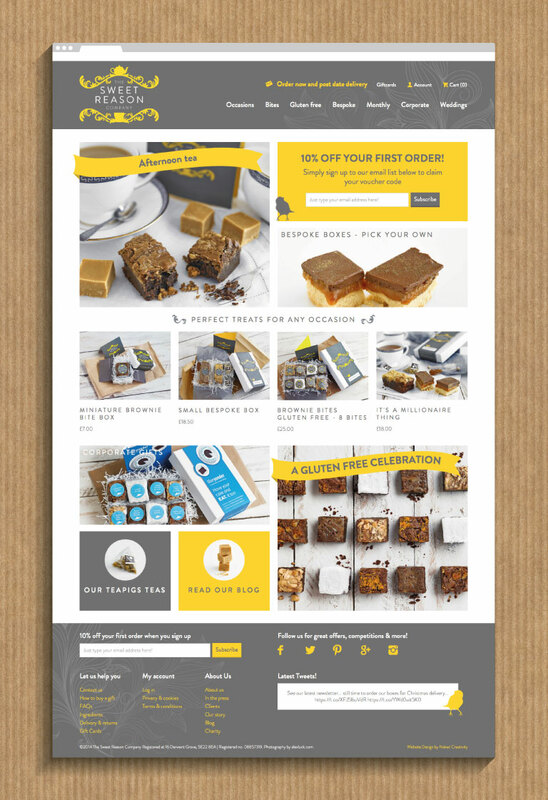 The Sweet Reason Company is a new online gift business specialising in afternoon tea boxes containing homemade cakes and hand-picked teas. 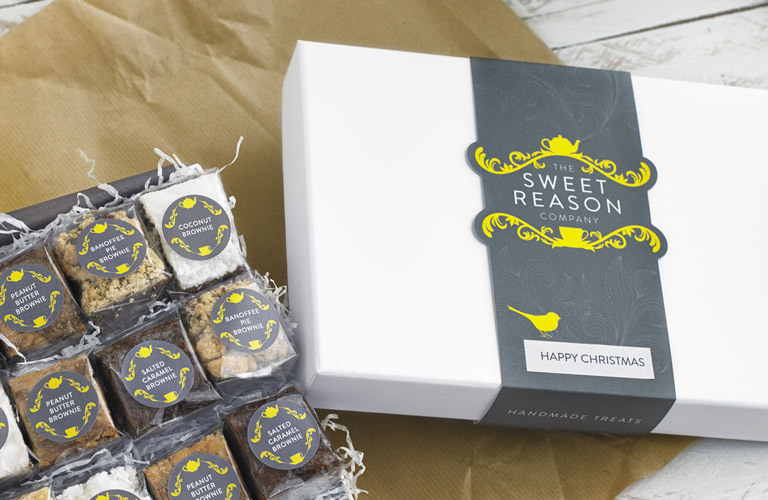 With ambitious plans to grow their product range beyond their afternoon tea boxes, The Sweet Reason Company needed a distinctive brand that could grow with the business. Naked Creativity were involved from the very early stages of this project, working collaboratively with our client to refine the brand name, customer experience and design aesthetic. 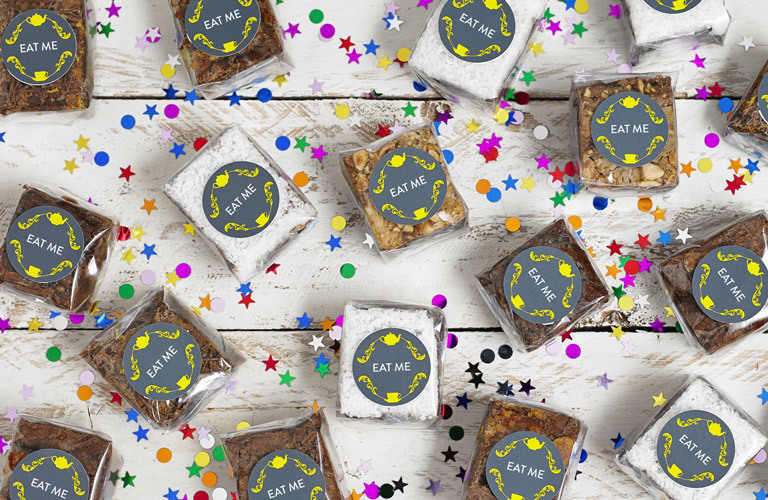 Naked Creativity designed a series of cost-effective packaging ideas, including a die-cut ‘belly-band’ to close an off-the-shelf box; over-printable stickers for product labels; and a customisable greetings card. Each element of the product presentation retains and reinforces The Sweet Reason Company’s identity, yet is designed to minimise initial print costs. 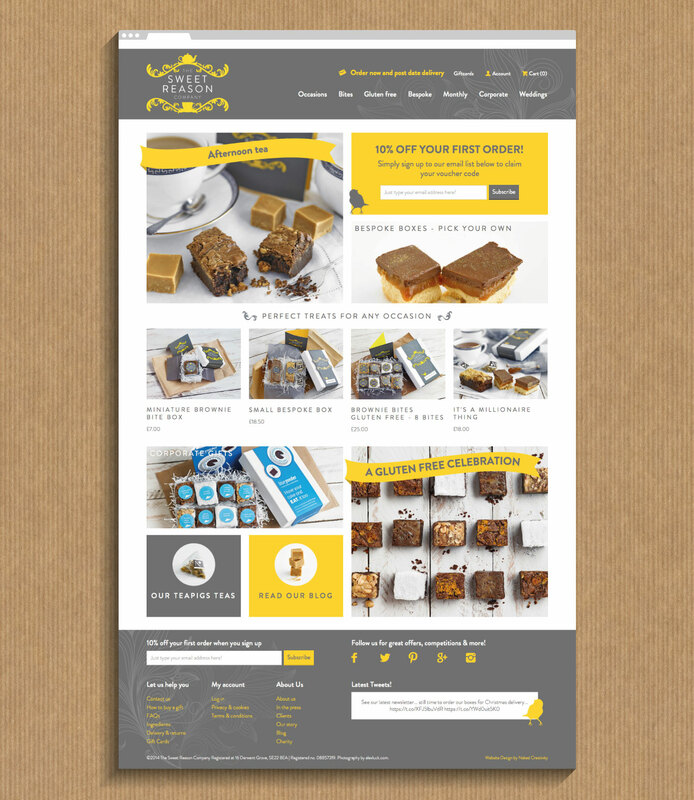 With online sales Naked Creativity have designed and developed an ecommerce website running on the Shopify platform. 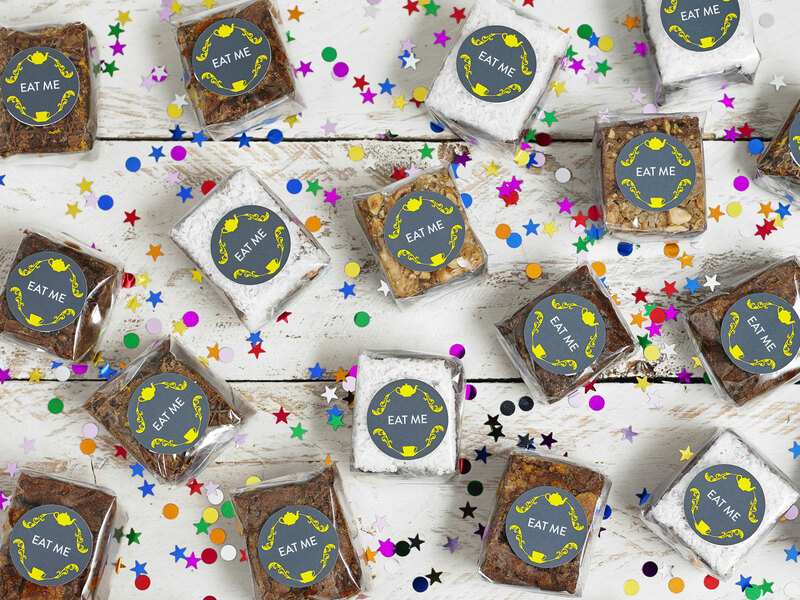 Our work extending the Shopify checkout process allows customers to personalise the order by adding a greeting, or choosing their own selection of cakes and treats. Shopify has pre-built integration with a range of payment gateways, including PayPal, Stripe and SagePay. This means we can avoid some of the more complex and expensive parts of ecommerce website development, delivering projects more quickly and cost-effectively. The website design follows the brand aesthetic with a custom theme that looks great on desktop and mobile devices. I have used Naked Creativity for the past 2 years, to assist me in the planning, launch and development of my business. 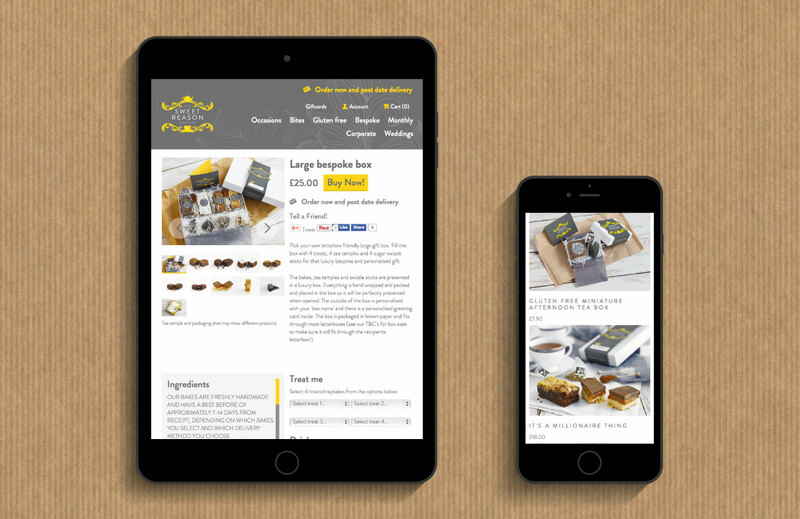 Although a small agency, their highly skilled team seem to be able to help with all aspects of design, website development, SEO, packaging and brand design, to a really high standard. It is always a pleasure working with Emma and Jordan and the team and I cannot recommend them highly enough.